GLENN: Beginning about six months prior to Mira’s scheduled completion, we embarked on a rather bureaucratic process of obtaining all the required documents we would need to legally own and operate Mira. Thankfully, we got reliable advice from our builder, our attorney, and other Antares owners and the process went fairly smoothly. If you have the interest (and patience) I’ve listed the steps we took sequentially as each step requires some prior steps. In retrospect, it would have been nice to find an agent to take care of the whole process. Chalk it up to boat ownership education. 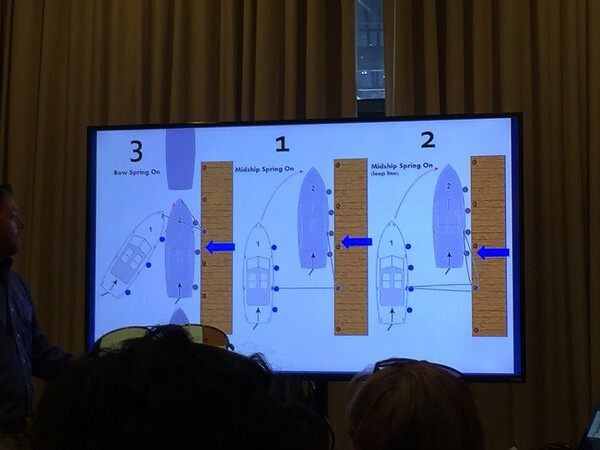 Hopefully, this proves useful to future boat owners. “Mira” done. See Why Mira? for more of that story. 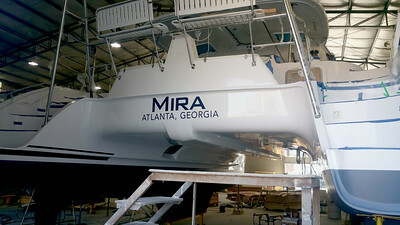 Although we don’t plan to run a charter business, we were advised to put Mira in a Delaware limited liability corporation rather than owning Mira personally. I’d recommend consulting your own attorney and tax advisor for this. We used Allyachtregistries.com and the process was simple to incorporate our LLC with the State of Delaware who is happy to collect an annual fee (~$225) to maintain the LLC. The deliverable from Delaware is the Certificate of Formation of our LLC. In the US, for recreational vessels, this is the city and state that appears on the transom of the ship. It turns out that it doesn’t actually need to be a coastal port. For registration, the US Coast Guard doesn’t care where the boat will be located; only that the combination of the ship’s name and the hailing port is unique. We are from Atlanta, Georgia so that’s our hailing port. This is another standard USCG form (CG-1261) available on the USCG website. 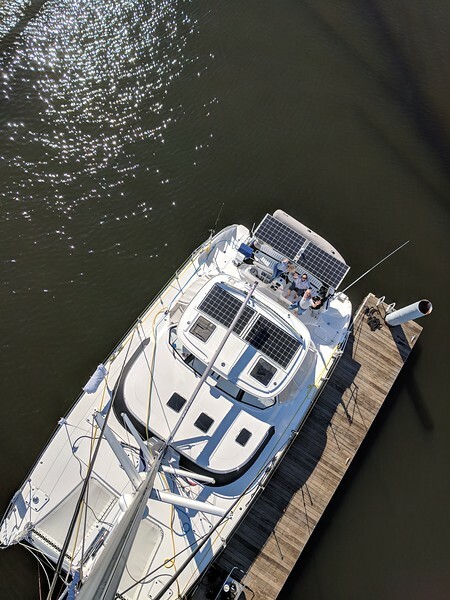 It’s completed by the boat’s builder and provides the owner, among other boat specs, the ship’s unique Hull Identification Number (12-digit alpha numeric) which is also physically molded into the interior of the boat’s hull by the builder. For US recreational vessels, you can either register your boat with your local state authorities or with the US Coast Guard. 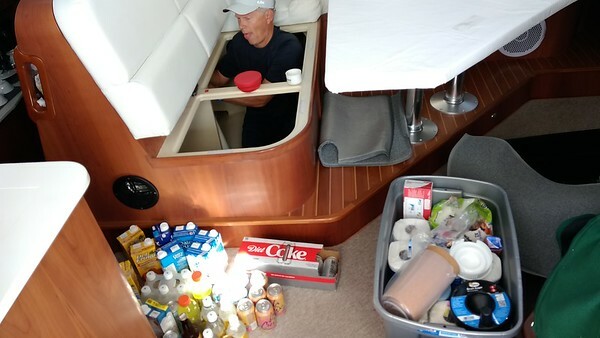 If you plan to sail the boat internationally, it’s best to “document” the boat with the US Coast Guard as it simplifies clearing in and out of customs. 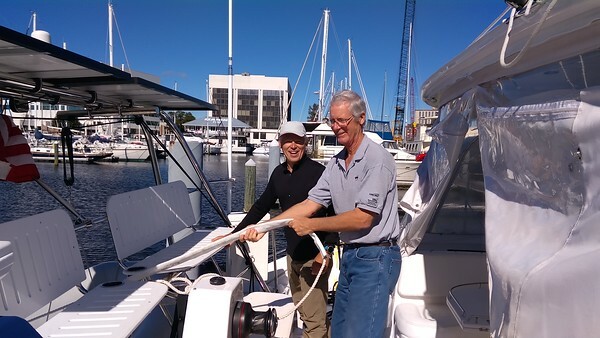 It also can make transferring ownership easier when the time comes to sell the boat. This is the path we took. Again, we used Allyachtregistries.com to submit our application (USCG form CG-1258) along with the original paper copy of our Builder’s Certificate to the US Coast Guard National Vessel Documentation Center. 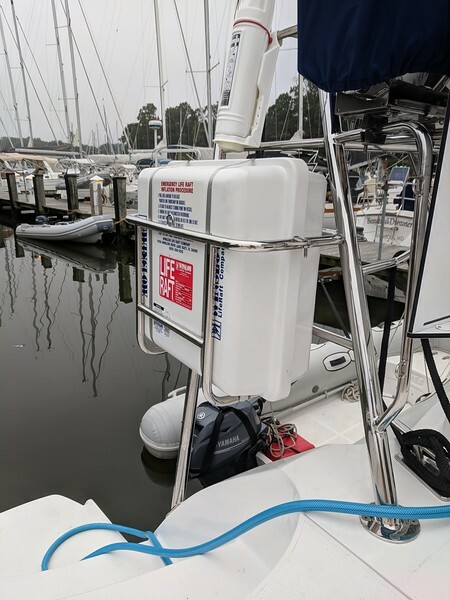 After a few months, we received our Certificate of Documentation (COD) from the USCG which establishes the boat’s Official Number (7 digit numeric). You need to annually renew the COD with the USCG for about $26. If you have a VHF and/or an SSB radio aboard, you need to get a license from the FCC to transmit on the airways. We applied online at the FCC website. Once you register initially with the FCC you get an online account and a 10-digit FCC Registration Number (FCN). You then login and submit form FCC-605 and pay the FCC $220. Then, after a couple of weeks, we received via US mail our Radio Station Authorization certificate which established our FCC Call Sign (7-digit alphanumeric) and our 9-digit (numeric) Maritime Mobile Service Identities (MMSI) which is used by our VHF radios and AIS system to uniquely identify our boat. FCC registration is valid for 10 years. As is the standard practice with boats that sail offshore, we carry an Emergency Position Indicating Radio Beacon (EPIRB) aboard Mira. It is used to alert search and rescue services and our designated family contacts in the event of an emergency. It does this by transmitting a coded message on the 406 MHz distress frequency via satellite and earth stations to the nearest rescue co-ordination center. Registration requires the beacon ID number provided by the EPIRB manufacturer and is done at NOAA’s website. Registration is free and is valid for 2 years. We hired a licensed delivery captain to sail Mira from Argentina to the Caribbean. Since we were not planning to be aboard Mira during the delivery, we needed to provide him with a document granting legal authorization to act on our behalf to deal with port officials and clear Mira in and out of the countries along the way. 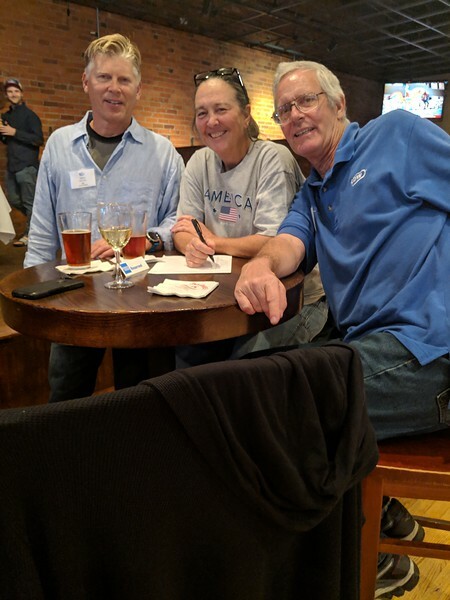 We needed to sign the POA in the presence of a US notary to confirm we actually signed the POA. In the US, notaries are licensed by each state and each state respects the validity of other states’ notaries. However, for a US state’s notarization to be valid in most of the rest of the world, we needed to take one additional step. The Hague Convention of 1961 established a standard international process adopted by 114 countries by which a document issued in one country can be certified for legal purposes in other countries; the apostille. So, our next step was a visit to the Georgia Superior Court Clerks’ Cooperative Authority office to get an apostille certificate for our POA; thus certifying for the international community that our notarization was legitimate. 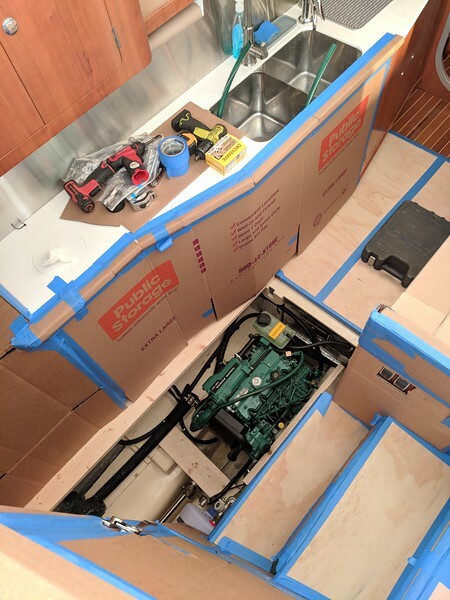 We wanted a policy to cover damage to the boat (hull coverage) for a pre-agreed boat value and damage the boat might cause to other property like boats, docks, and people (liability/primary indemnity coverage). We also wanted coverage for other major expenses for medical payments, emergency towing, salvage and rescue, and fuel spillage. We worked with a recommended marine insurance broker to help us navigate the process and provide quotes from multiple carriers. 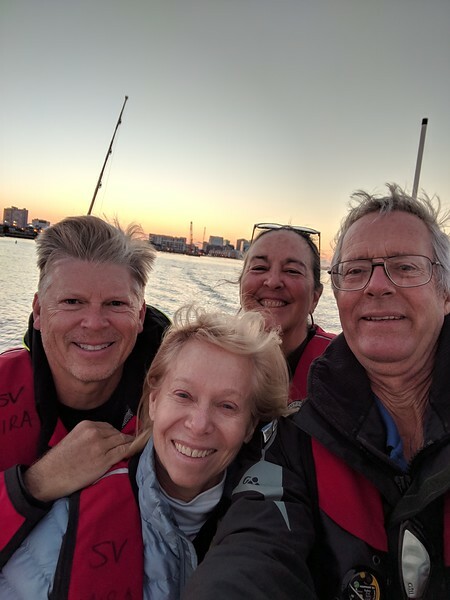 Policies are typically for a 1 year period and are underwritten based upon the coverage requested, our sailing experience, the experience of our delivery captain, and the geographic area we plan to sail during the year. 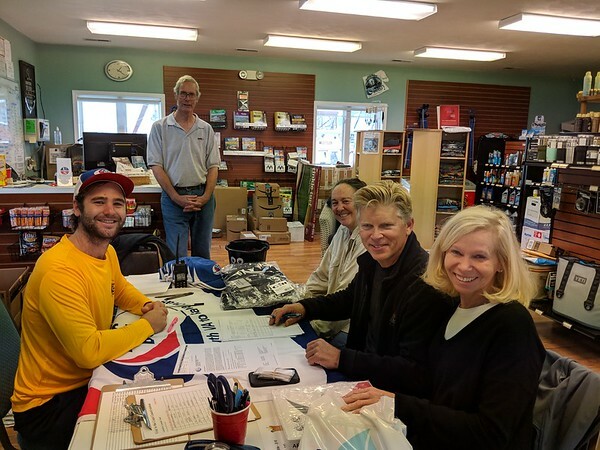 After reviewing initial quotes and selecting a carrier, we asked our broker to submit our application along with the required copies of our final boat sales contract (to document the value of the boat), our sailing resume, and the resume of our delivery captain. After a bit of back and forth, we received our policy timed to begin with the launch of Mira. 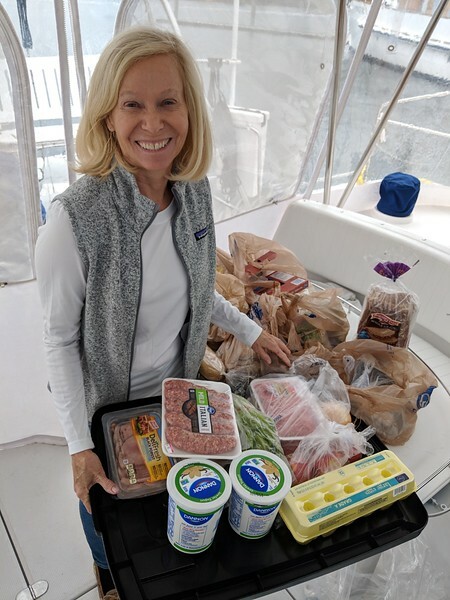 We are lifetime learners and have been building our on the water skills over years of bareboat chartering, racing, and also owning a ski boat on Lake Burton. 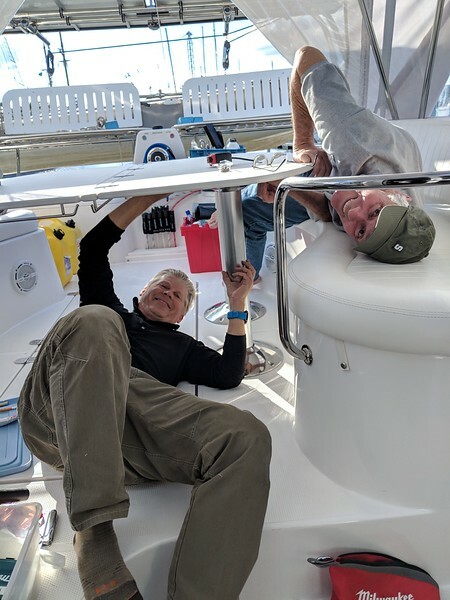 As we planned our path to sailboat ownership and ocean cruising, there would be lots more to learn! 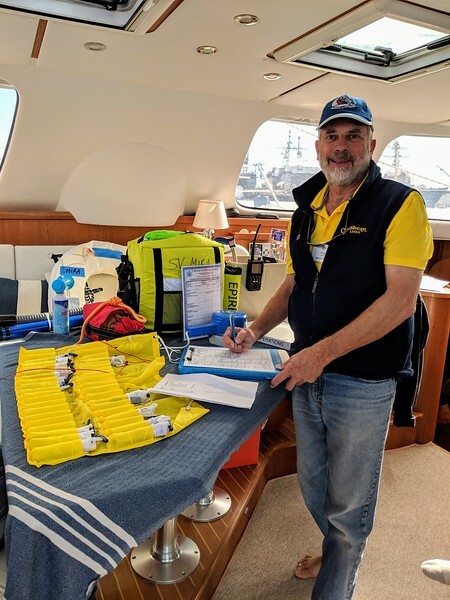 Four day Cruisers University in Annapolis helped hone our electronic navigation, electrical and mechanical boat systems, provisioning and cruise preparation skills. Glenn headed to Amelia Island for a two-day diesel engine class. 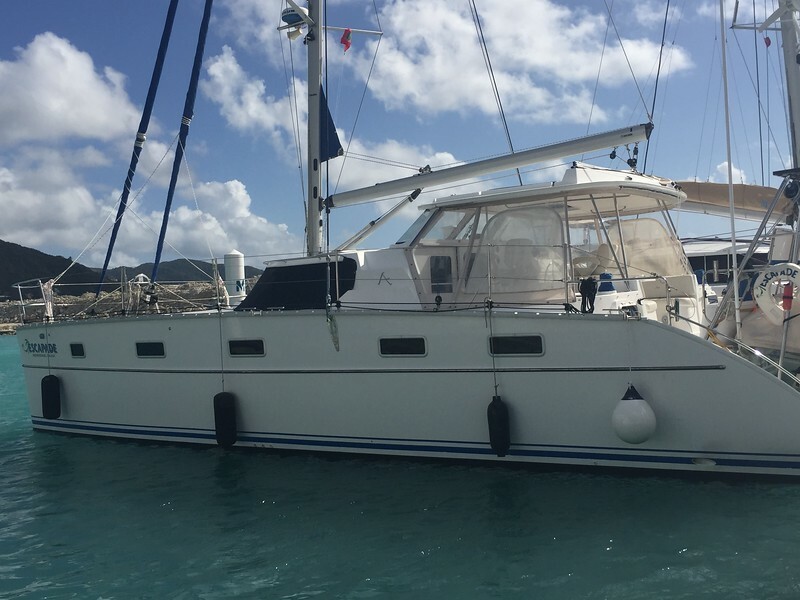 Pamela headed to the BVI for a week-long live-aboard sailing class – earning her ASA 102 and 104 – now certified to charter a sailboat on her own. All this knowledge ….. we can’t wait to get on our own boat!! 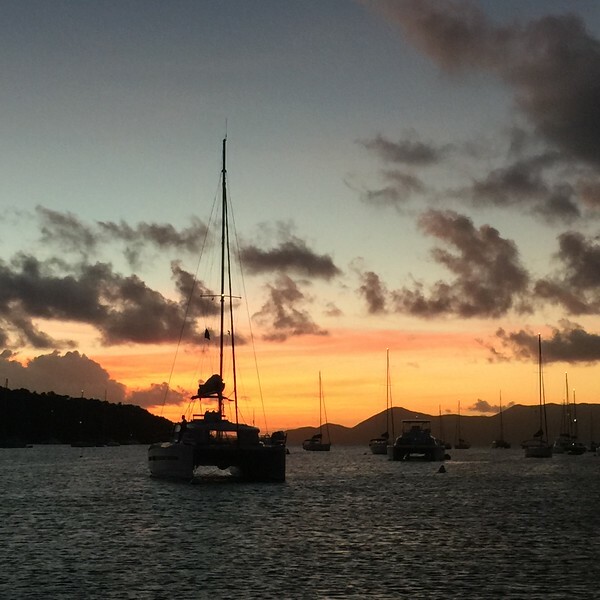 A quiet anchorage in the BVI – sadly, studying was on the night’s agenda! 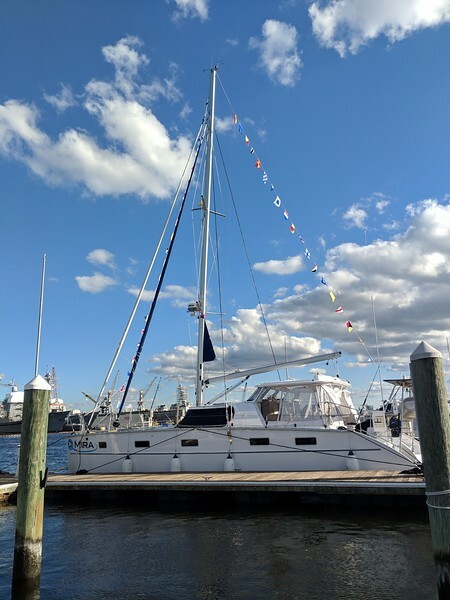 Nanny Cay – saw our friend’s Antares Escapade at the marina – can’t wait to see our own Antares! 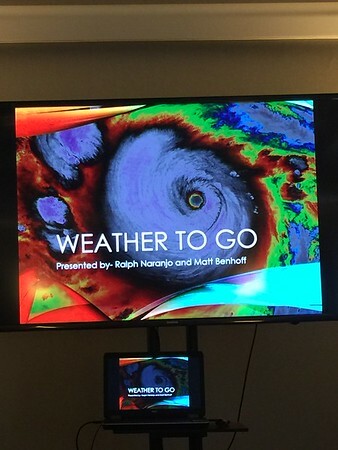 Shortly after we signed our contract with Antares, we were invited to attend their annual on-water Antares University. 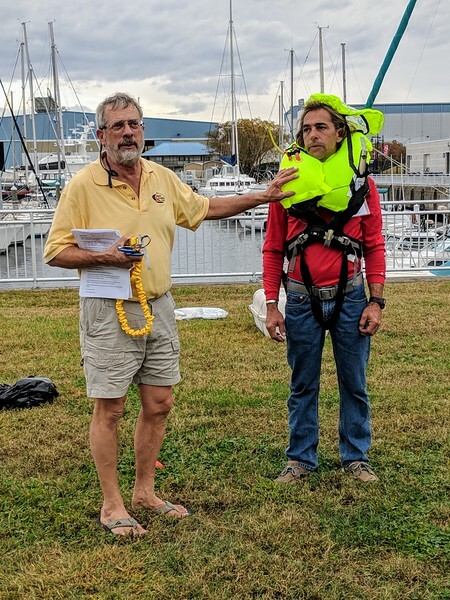 The 2-day gathering in Charleston, South Carolina of new Antares customers was structured to be both a social event and orientation to the Antares 44. We met a nice group of sailors from around the US. Like us, they were pursuing their cruising dreams and had made the choice of Antares. 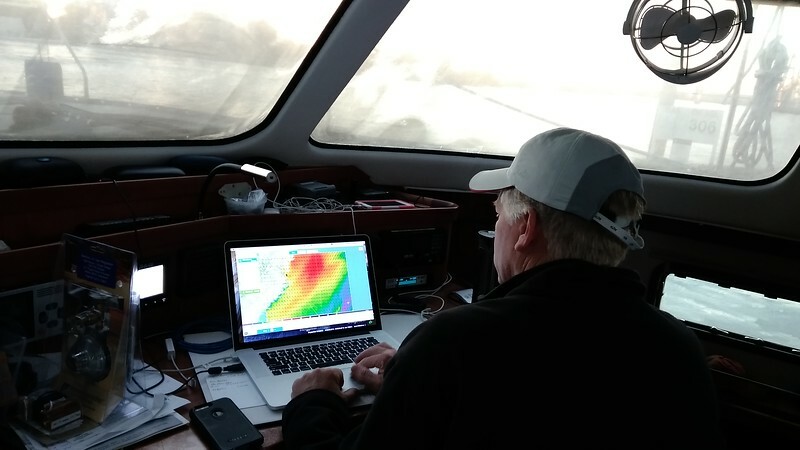 We sailed an earlier model of the Antares 44 on Charleston harbor and alternated our time at the helm, manning the lines, and learning about the boat’s many systems. 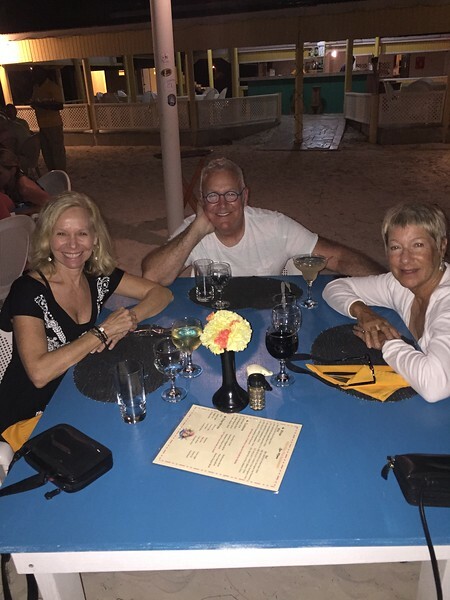 Evenings included social time over dinner and drinks. The final afternoon, we practiced entering the marina and safely docking the boat. At the conclusion, we exchanged contact information, said our goodbyes and headed home. Thank God for the internet, boat blogs, and Cruisers Forum for the wealth of inspirational and practical education. There’s so much great information out there, and just like with any subject, you have to sift through the many perspectives and biased opinions to reach your own conclusions. Along the way, we needed to actually go see some boat. 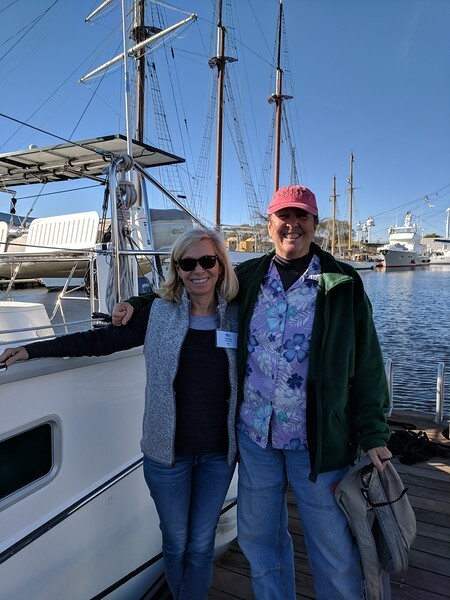 The highlight of the years leading up to our big decision were our visits to the Miami and Annapolis boat shows. 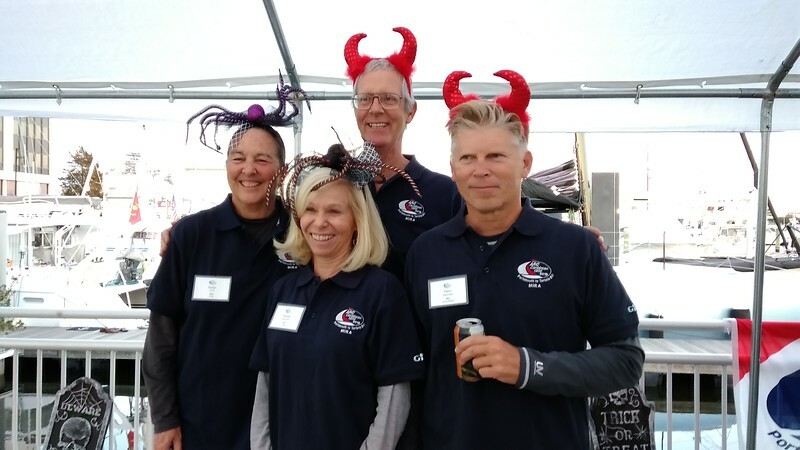 We found an overwhelming array of vendors, hyping every imaginable boat and boat accessory. I don’t know if we felt dumber or smarter, but our heads were spinning. 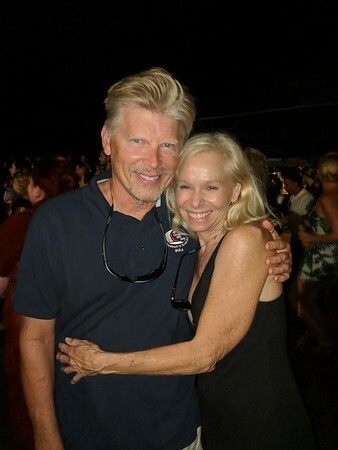 At these shows, it was fun to meet some of our own cruising heroes: John Kretschmer, Andy Schell & Mia Karlsson, Behan Gifford, Paul & Sheryl Shard, Pam Wall, and John & Amanda Neal. While we stalked these accomplished sailors like groupies, we were amazed at how accessible they are to mere mortals like us. 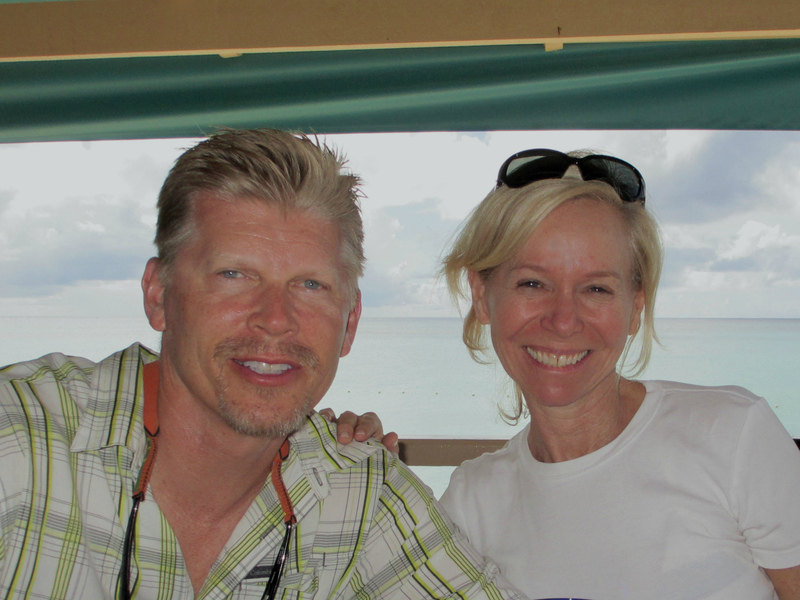 Through their books, blogs, lectures, and podcasts, they have helped our dreams of cruising come true —thank you!